Over the past few months we have completed a number of 3D frames and thought you might like to see a few. 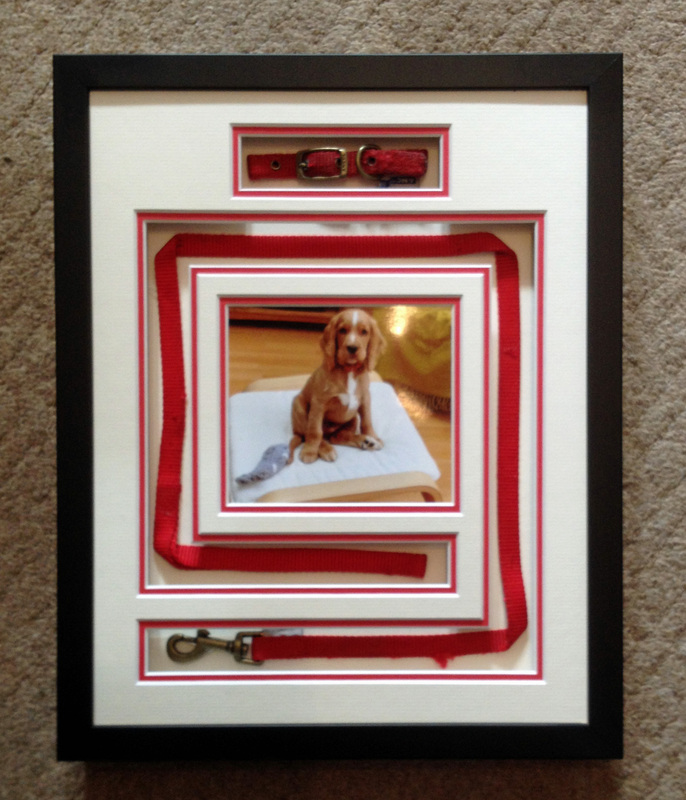 A puppy’s first collar and lead along with a photo of the little chap. Both collar and lead are held in place with mini tags (similar to the ones used for clothing) and coloured red to match. 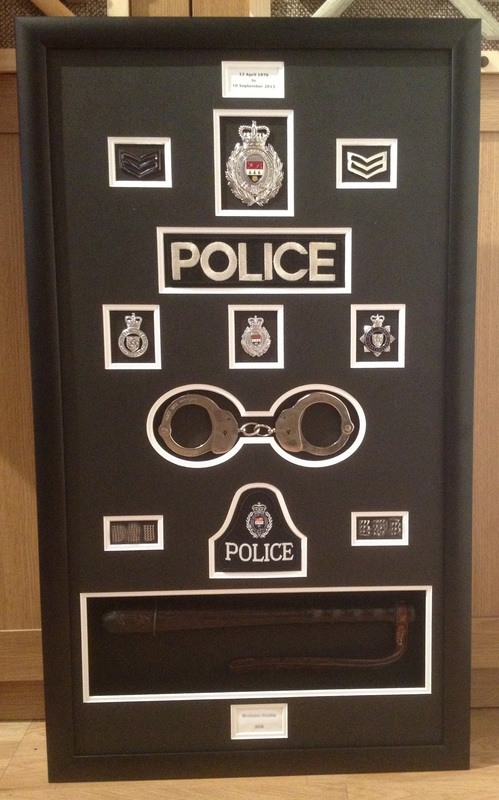 This fairly large frame was put together to mark the retirement of a police officer. The collection of items included the various badges he wore during his career and an old fashioned pair of handcuffs and truncheon. The metal badges are held in place using their original fixings, the cloth badges are sewn on, handcuffs are attached with archival polyester and, finally, small rubber covered wire brackets have been made to keep the truncheon in place. The officer’s name and collar numbers have been blurred for his anonymity. 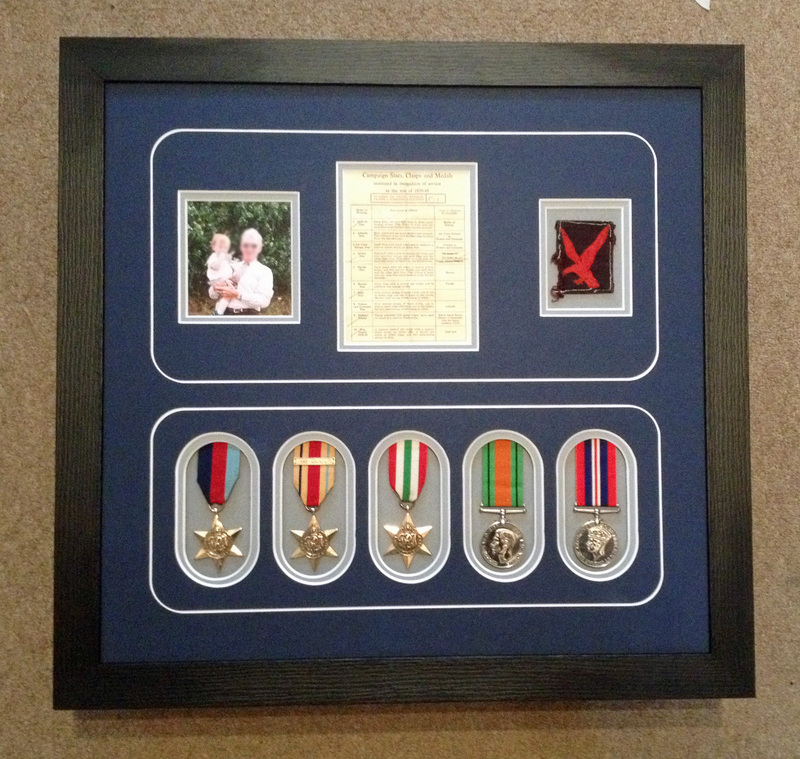 This was a Christmas present for a customer and we have produced a more informal layout for this set of WW2 medals along with a photograph of the recipient with his grandson (we think), his certificate of entitlement for the medals and a badge from his uniform. This time it’s a momento from a trip to EuroDisney. 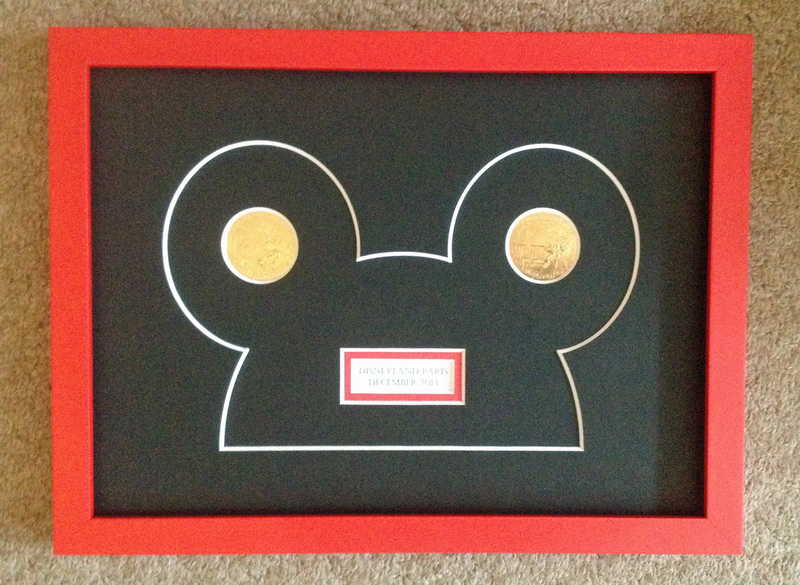 The middle of the ears are a couple of Disney coins and are held in place my sinking them into a board and then slightly overlapping the top mount. 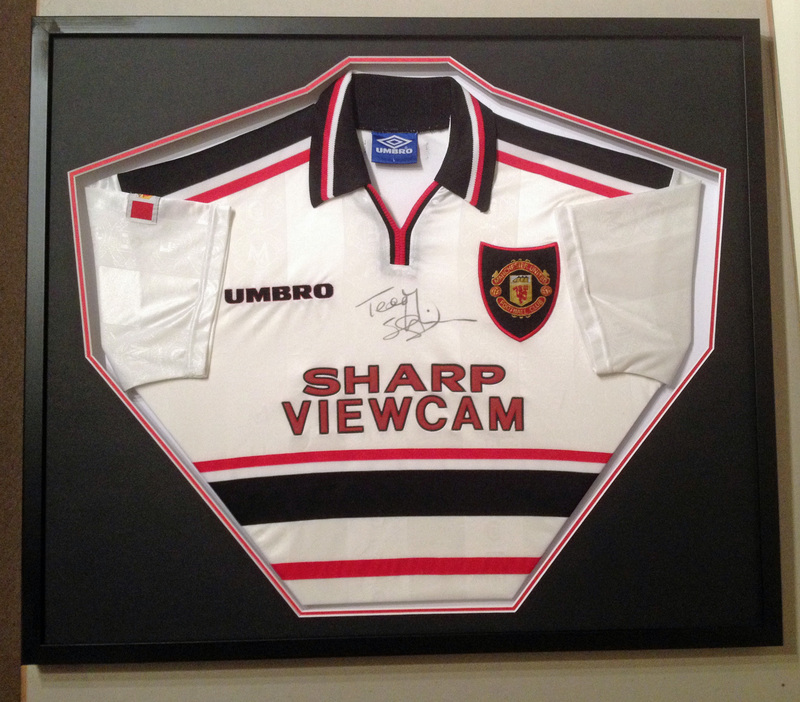 Finally, an old Manchester United shirt signed by Teddy Sheringham. This was another surprise Christmas present.